James Milner: the gift that keeps on giving! 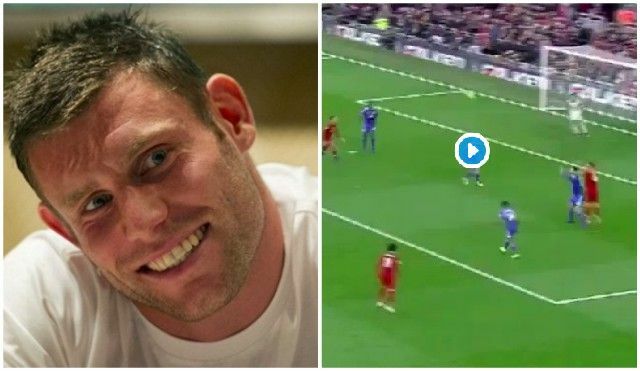 Following our 4-1 victory over Cardiff yesterday, our oldest player took to Twitter to mock Dejan Lovren, who at one point during the second-half, fell over his own feet for apparently no reason! Below, you’ll see the incident and Milner’s tweet. Lovren wasn’t bad yesterday, but did make a rash foul that gave away a foul, which led to a disallowed Cardiff goal. We imagine Joe Gomez will be back in the side next weekend for the clash with Arsenal, due to his pace up against the likes of Alexandre Lacazette and Pierre-Emerick Aubameyang. Andrew Robertson will also come into the team at the expense of Alberto Moreno at left-back, in what will be our strongest possible backline. Milner may come in as well, with Jurgen Klopp possibly returning to the 4-3-3 for such an important clash against a rival. We can see Fabinho, Gini Wijnaldum and Milner in midfield, with the usual front-three ahead of them.